Paul Kostrzewa's LED Handhelds Collection - Collected It! 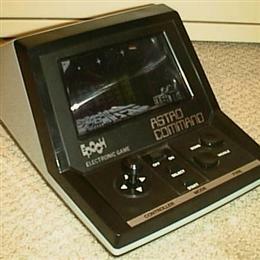 Epoch Astro Command. This is a great tabletop game with several levels. Great condition, still in box. Entech Baseball. 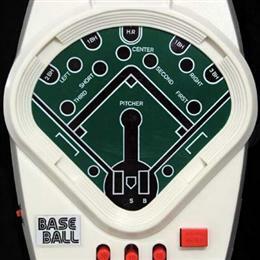 This game had LEDs and was kind of a hybrid in that you had to pull back a lever and press a button to relase the "ball" then press another button for the "bat". Scoring was done by moving levers and dials. 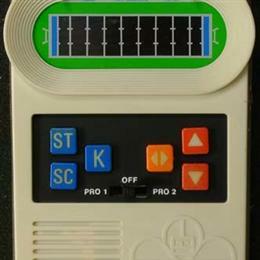 Mattell Football, did any boy in the 70s *not* have one of these? Doubtful. Mine is original, out of the box, but in great shape. The battery contact is fishy but when it "clicks" the lights and sounds are all perfect.